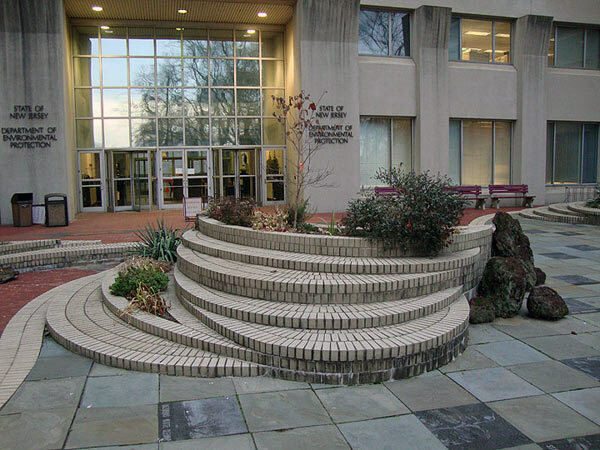 In 1985 the New Jersey State Council for the Arts held a design competition for a work of public art to be placed in the interior courtyard of the State’s Department of Environmental Protection. 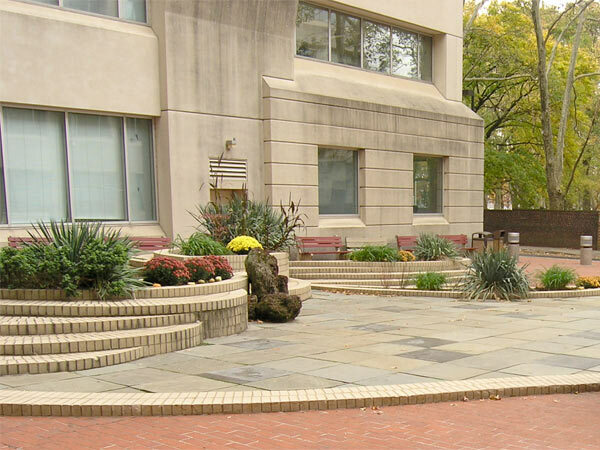 Located in the heart of Trenton, one mile east of the Delaware River, the U-shaped, Brutalist-style, seven-story building encloses a courtyard which faces into the adjacent, arboreal Mercer Cemetery. 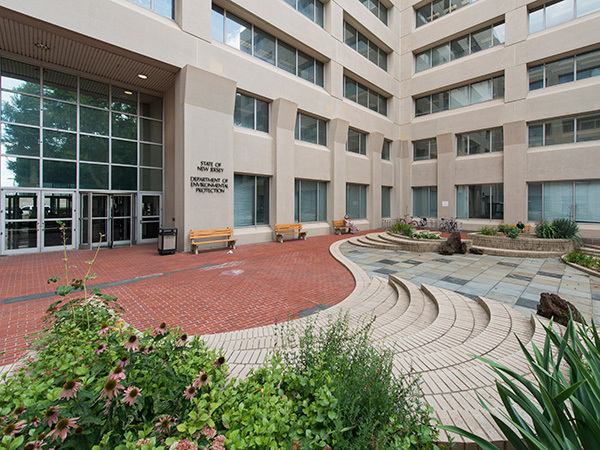 Environmental artist Athena Tacha was awarded the commission. 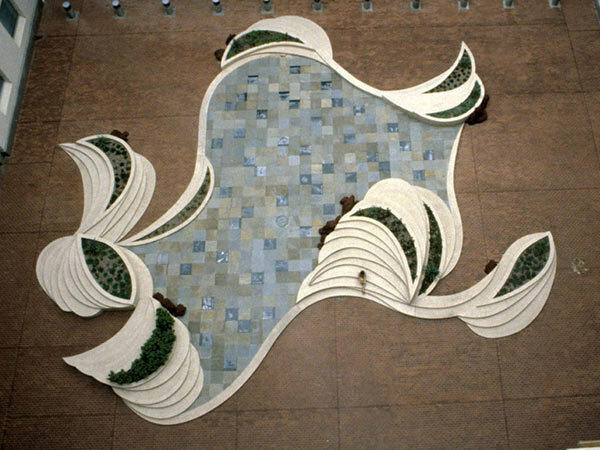 Her site-specific environmental sculpture, called Green Acres after the department’s land protection program, was completed in 1986 and dedicated in 1987 by Governor Kean. 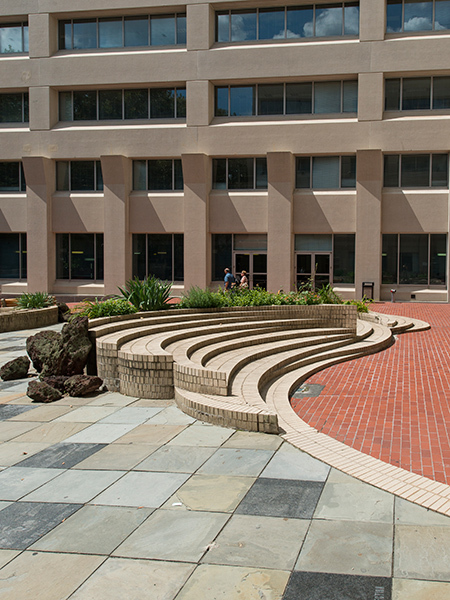 Tacha’s biomorphic earthwork is built into the groundplane of the red tiled courtyard and is surrounded on three sides by the buff-colored, concrete walls of the office building. 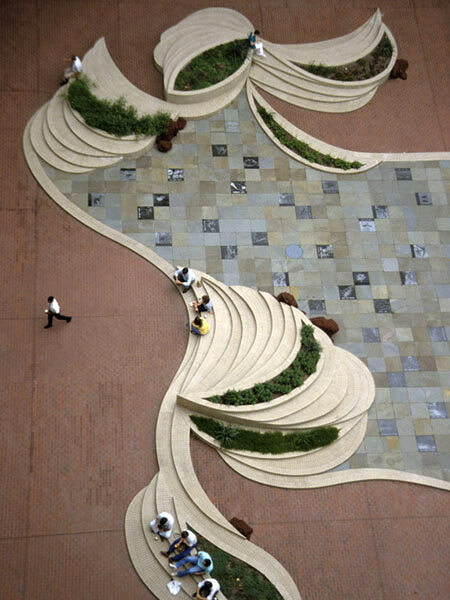 The sculpture invites active participation from its viewers and is meant to be experienced both from the ground and from above. 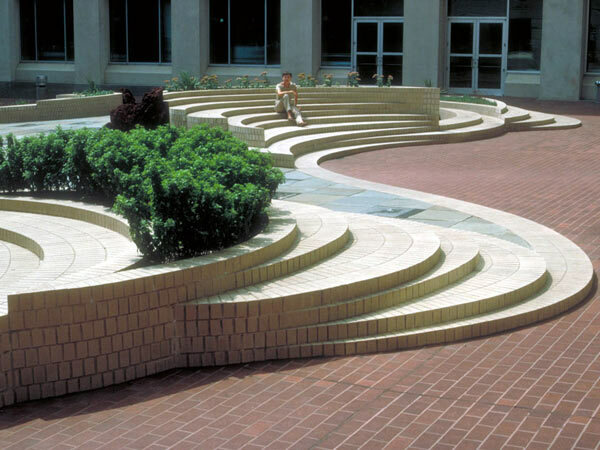 Measuring 77 feet by 85 feet and rising 5 feet at its highest points, the gracefully curving and scalloped forms produced by stacked, white-colored bricks are evocative of ocean waves or tidal eddies. 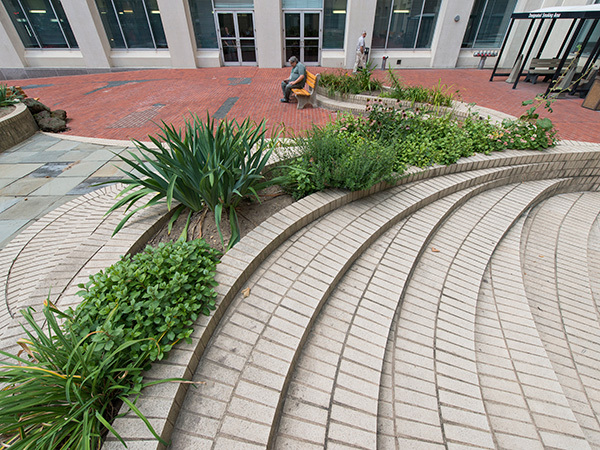 The brick ledges are pierced by crescent-shaped planters that provide a verdant counterpoint, filled with ground covers and blossoming yuccas, and the flowing brick steps provide natural seating along the edges. 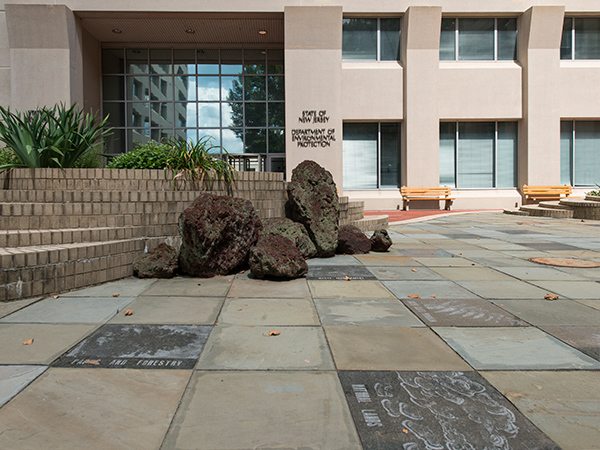 In the center is a small plaza paved with 46 granite square tiles of varying green and blue hues, onto which a handful of photographs depicting the state’s endangered landscapes, flora, and fauna have been sandblasted. Tacha’s use of sandblasted images in her work was considered a new technique at its time.